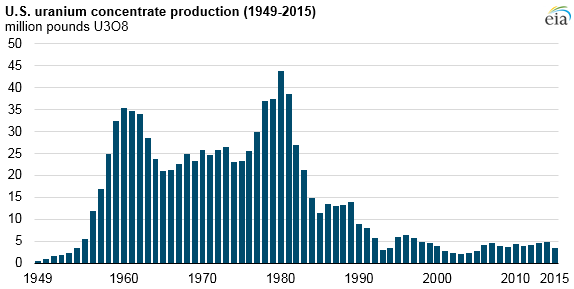 Source: U.S. Energy Information Administration, Annual Energy Review and Domestic Uranium Production Report. Note: U3O8 is uranium concentrate and is marketed to the nuclear industry. Spot prices for uranium have been low in part because of growing uranium inventories held by owners and operators of U.S. nuclear power reactors. From 2004 to 2015, owners and operators of U.S. nuclear power reactors purchased 677 million pounds of uranium, and 592 million pounds were loaded into U.S. nuclear power reactors. Since 2003, annual uranium purchases have exceeded the amount of uranium loaded into reactors. 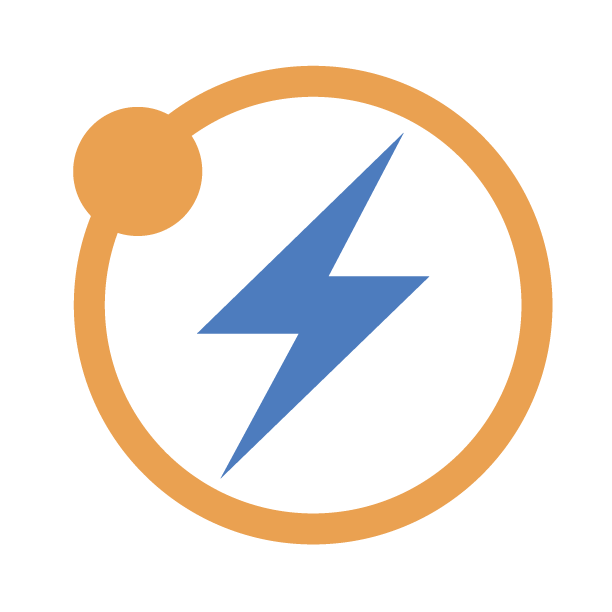 The amount of uranium fuel loaded into U.S. nuclear power reactors averaged 49 million pounds per year from 2004 through 2015, so uranium inventories totaling 121 million pounds at the end of 2015 could provide more than two years of uranium loadings. 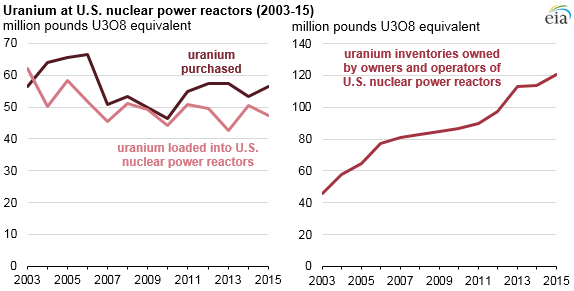 Of the 3.6 million pounds of U.S.-produced uranium sold in 2015, 1.5 million pounds were purchased by owners and operators of U.S. nuclear power reactors from U.S. uranium concentrate producers. The remaining 2.1 million pounds were sold by U.S. producers to U.S. suppliers and foreign suppliers in 2015. 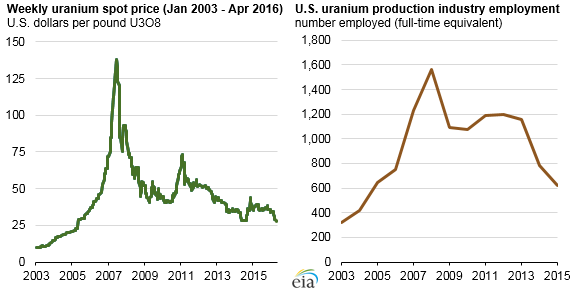 More information on the United States uranium industry is available in EIA’s Domestic Uranium Production Report – Annual, Domestic Uranium Production Report – Quarterly, and Uranium Marketing Annual Report. Doug, Bill Gates’s TerraPower fast neutron reactor will be in production within a decade, and will essentially render uranium obsolete. So uranium is probably not a good long-term investment. 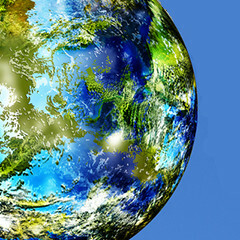 Nor futures in coal, natural gas, oil, solar panels, or wind turbines.